The Sprint subscribers of Samsung Galaxy S4 (SPH-L720) has started receiving its latest Android 4.2.2 Jelly Bean update with firmware build number L720VPUAMF9. The new official firmware is currently available as an Over-The-Air (OTA) update as well as through Samsung KIES. Samsung Galaxy S4 (Sprint) SPH-L720 users who missed the OTA update notification or unable to access the update over Samsung KIES, may follow our step-by-step guide to install the update manually. 5. The Android 4.2.2 VPUAMF9 Jelly Bean firmware is compatible only with Samsung Galaxy S4 (Sprint) SPH-L720. Applying these to any incorrect variant might brick the device. Verify the model number of the Galaxy S4 by navigating to Settings >> About Phone. Step 6: Connect the Galaxy S4 to the computer using USB cable while it is in the Download Mode. Wait until Odin detects the device. When the device is connected successfully, the ID: COM box will turn blue with the COM port number. Additionally, the successful connected will be indicated by a message saying Added. Step 10: Once the installation process is completed, your phone will restart and soon you will see a PASS message with green background in the left-most box at the very top of the Odin. You can now unplug the USB cable to disconnect your device from computer. Samsung Galaxy S4 (Sprint) SPH-L720 should be now updated with official Android 4.2.2 VPUAMF9 Jelly Bean. Head over to Settings >> About Phone to verify the software version running on the device. Note: If Galaxy S4 (Sprint) SPH-L720 stuck at booting animation after Step 10 then go to recovery mode (press and hold the Volume Up, Home and Power buttons together) and perform Wipe data/Factory Reset and Wipe Cache Partition task before selecting reboot system now function. In recovery mode use Volume keys to navigate between options and Power key to select the option. Please note, performing wiping task will erase your device internal memory data and not external SD card data. 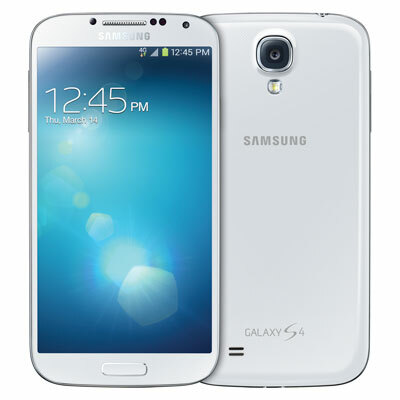 Click here to know How to Root Galaxy S4 (Sprint) SPH-L720 running on Android 4.2.2 VPUAMF9 Jelly Bean firmware.